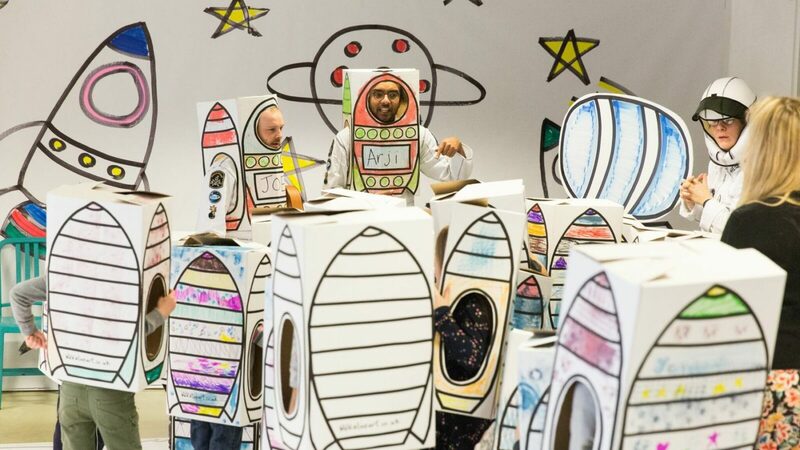 Welcome to our space station: train to be an astronaut, make your own rocket and lift off at an immersive theatre show for children aged 3 – 8. Combining live performance, music, storytelling and painting, Ready Steady Lift Off! invites you to take part in our weird and wacky astronaut programme. Navigate, sing, colour and play your way through the seven stages of training, from working as a team in a space station to piloting your own rocket. Once you’ve decorated your rocket, you orbit around space meeting strange creatures and overcoming cosmic catastrophes – all in a day’s work! Finally, fly your rocket home. Created by A Line Art.